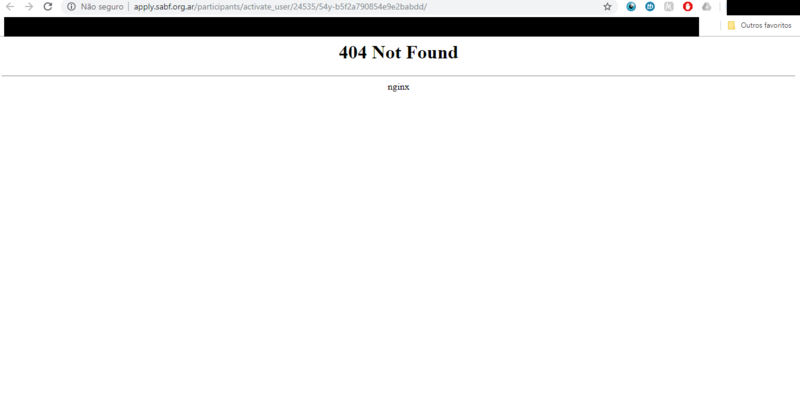 Hi, i try to do my inscricion two times, but, when i received the email to confirmed my subscription, the link redirect to a broke page - 404 not found. I think that had some problem whit the link that been sent to my email. Can you helpe-me, please? We are communicating your problem to the IT department! We'll let you know when the problem is fixed! A conversation has been started with the SABF staff to resolve this discussion. This discussion is private. Only you and SABF support staff can see and reply to it.